Can Dimensions: 4.825" diam. 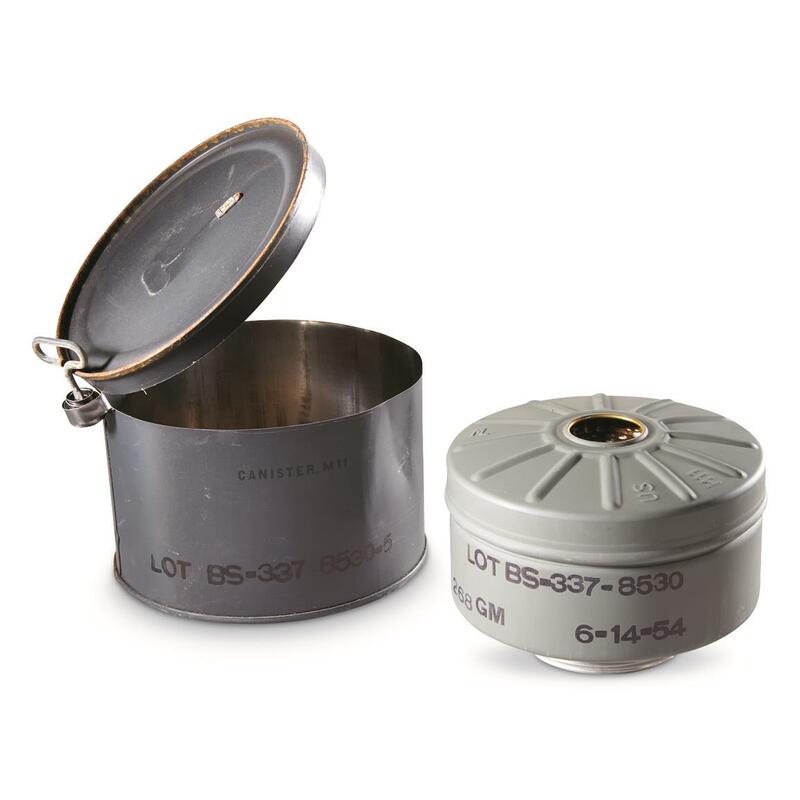 x 3.75"h.
Fresh U.S. Gas Mask Filter, still sealed in the original can. 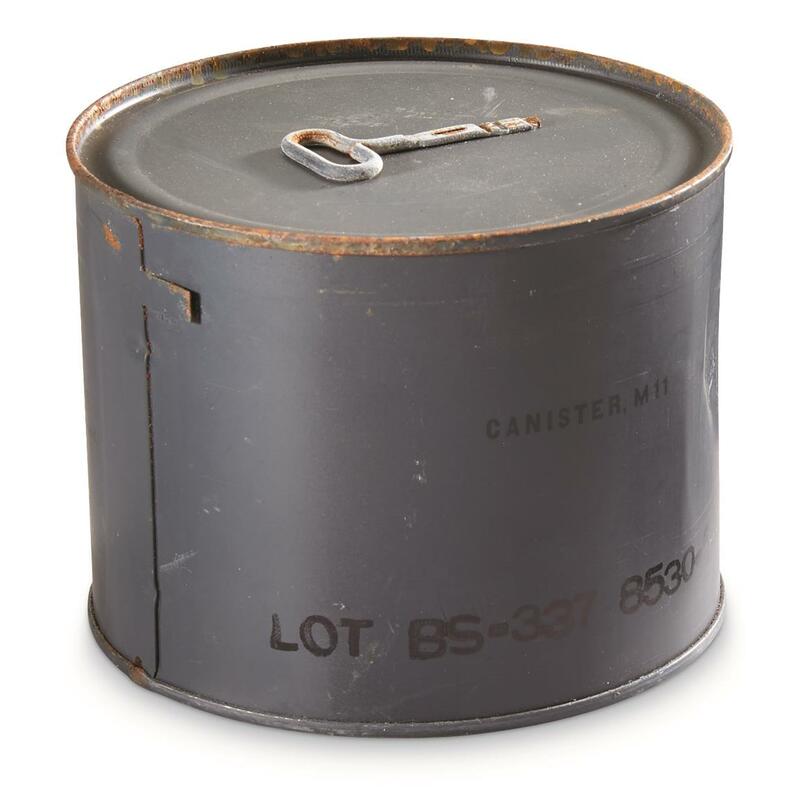 Originally manufactured as part of Cold War preparations for potential military conflict. Now out of long-term storage and ready for re-assignment to your military collection. U.S. Military Surplus Gas Mask Filter in Can, New is rated 5.0 out of 5 by 1. Rated 5 out of 5 by hoot101 from Love the spam cans Bought this Any surplus in a spam can I will buy because it makes a great display pieces. I bought this to go with the item # WX2-702816 US.M9A1 field mask. Nice collectable.